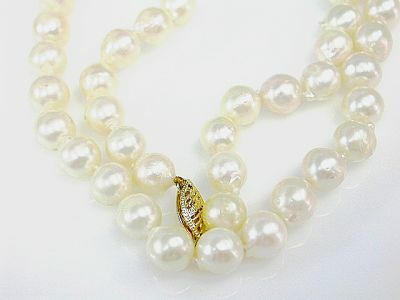 A beautiful strand of 68 creamy white baroque pearls, approx. 7.5-8.0mm. It is knotted, approx. 23.5 inches (62.04cm) in length and has a 14kt yellow gold clasp.